Thanks so much for all the support for the Joss & Main curated event. The sale stays open for three days so be sure to check it out. Now, let's get on to the party which is running late. 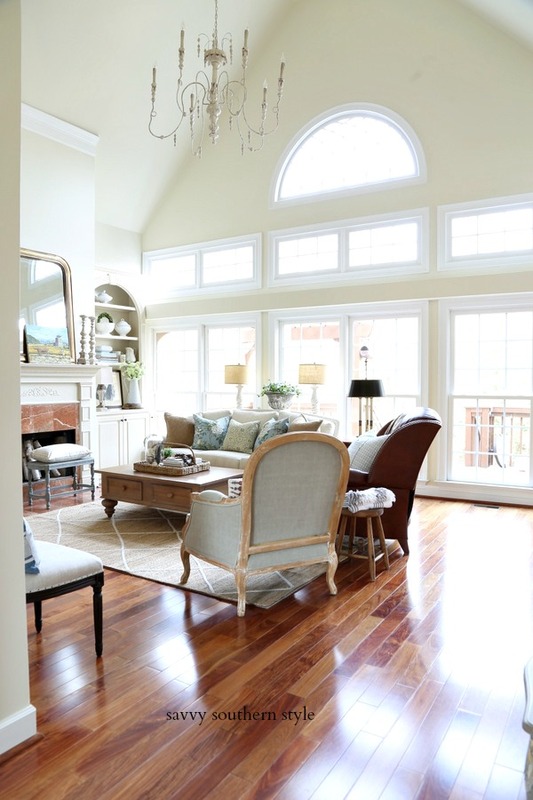 Here are some fabulous features from last week. I just can't get over how stunning this fall outdoor arrangement is by Serendipity Refined. 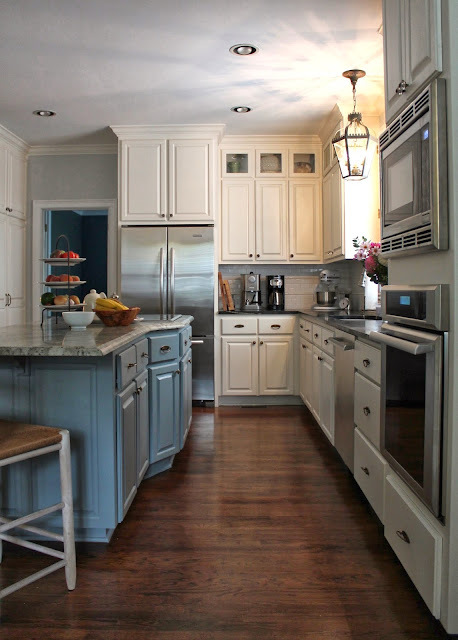 Designing Domesticity moved across country and then had their kitchen remodeled into this beauty. 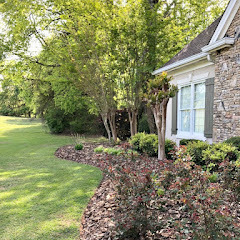 Be sure and check out the before. 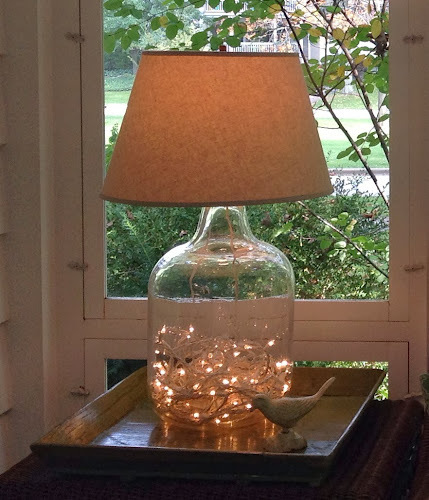 I love the added lights to this DIY demijohn lamp by Just Grand. 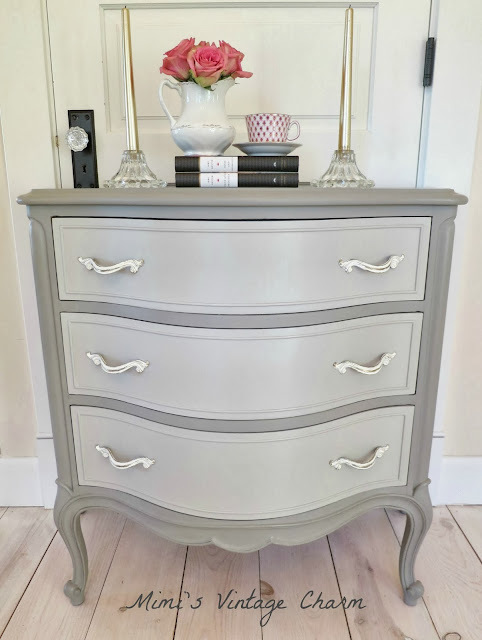 This dresser is so pretty painted in French Linen by Mimi's Vintage Charm. Home Sweet Ruby shared this beautiful DIY upholstered headboard. Now this is one big splash of color in this Halloween wreath made by Kristen's Creations. More Halloween cuteness shared by A Thrifter in Disguise. 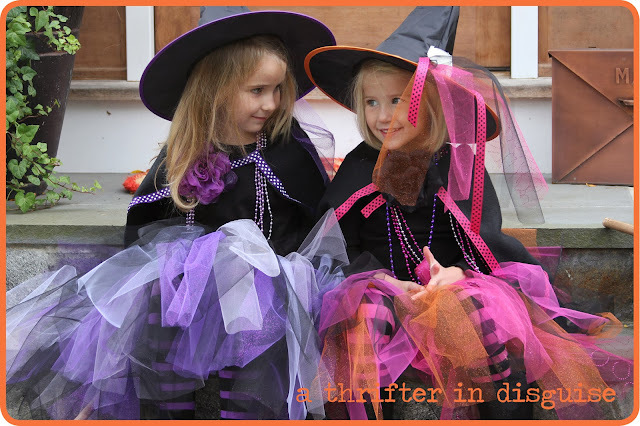 She shares how you can create these witch costumes. How about some Granny Smith apple turnovers? The recipe was shared by At Home with Jemma. Thanks for hosting, Kim! Hope you have a fabulous day! Love the features! Thanks so much for hosting. Great features Kim~ I'm swooning over that planter and love those adorable witches :) Thanks for hosting! Great features Kim! Thanks so much for hosting. Thank you for hosting and congratulations on the Joss & Main event! Thanks, Anita. That was long time ago. So excited for YOU!!! Thanks so much for hosting Kim! Hi Kim! Lots of great things happening to you ,,, and so well deserved! LOVE the features! Hello Kim! At night or in the morning, we are always here, joining your great party! Great features...thanks for hosting Kim....!!! Thanks for hosting, Kim! Always a wonderful party! Love the features this week Kim. Pretty, cute and yummy!!!! Thanks for hosting another great party. Thanks so much for hosting! Loved the features! Have a wonderful week! Kim, the features are great! Thanks so much for hosting! Thanks for the wonderful party Kim!!! Hi Kim. Congrats on your new opportunity with Joss & Main! Wow, your doing so well and I'm so happy for your continued success! Your features are always so beautiful too! Thank you for hosting another inspirational party! Thanks for hosting, Kim! Love the new look of your blog! Good morning Kim, your sale was fabulous and I would have purchased that incredible rose pillow if it had been available! I wouldn't be surprised to see that fall outdoor arrangement in a magazine because it is outstanding! Thanks for hosting and have a great day! Congrats on the Joss & Main Event! What Huffington Post feature?! Please let us know, would love to see it! You are go-go-go, always on the move! Thanks for hosting, TOO!! Thanks for the party Kim, love love Joss & Main! Thank you so much for hosting Kim! I hope you are having a wonderful week:) I can't wait to check out the Joss & Main event! Those are great features Kim. I love that urn arrangement, its stunning. The Joss and Main sale is amazing, such beautiful things. Thanks for hosting! 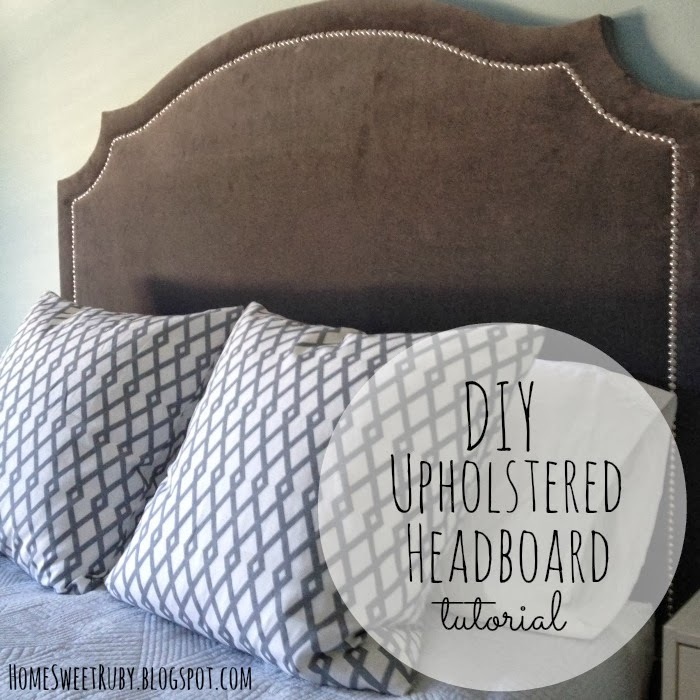 Can't believe that headboard is DIY! Thanks for another lovely party Kim! 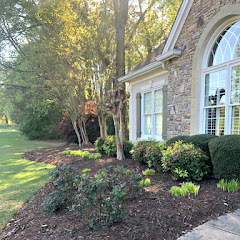 That outdoor arrangement is incredible -- a real showstopper! Can't wait to get through the links this week, too. Thanks for hosting and congratulations on the J&M gig. Hi Kim, thanks for replying to my comment about your lovely bed. I appreciated it! And thanks for this fun party. The features are great. I've been trying to link to the party, but can't for some reason, because as you know, I join your wonderful party each week. Maybe it's not recognizing something because it's new..and by the way, it's beautiful! Thanks you. Thanks so much for hosting! Hope your having a great Wednesday. Such a spooktacular party! Thank you for hosting. 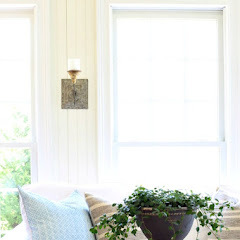 Hi, Kim--love the new blog design! Thanks for hosting! 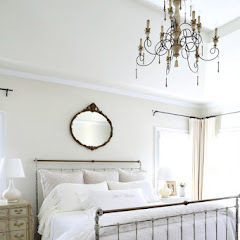 Wow Kim.. it has been a while since I blogged .. your site is amazing. I love the entries you posted from last week especially that beautiful arrangement! Thanks for the party, joining the fun this week .. can't wait to see all these lovely entries. FABULOUS features, Kim. I cvan't wait to go see them all since I haven't been on the computer in awhile, (house guuests). Thanks so much for hosting. 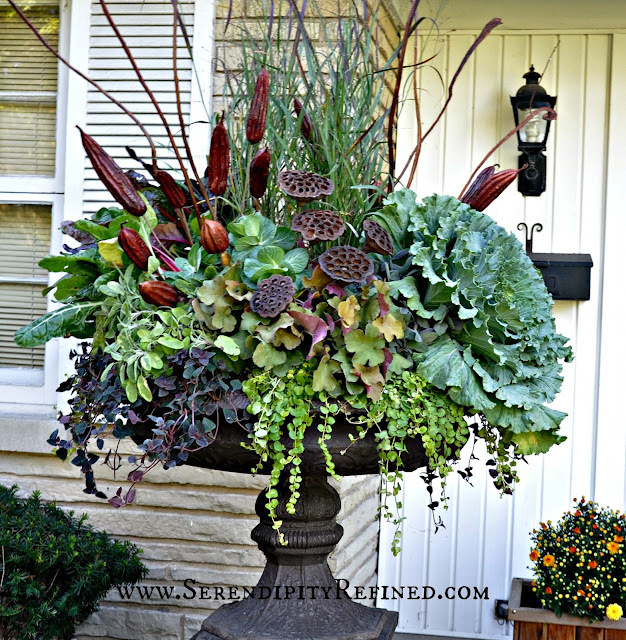 That fall urn is spectacular! Now I want to recreat it!!! I had two inspiring surprises this morning one-I opened up my Joss and Main newsletter and there you were! Congrats!! Second I am featured at your wonderful party! Thank you!! Beautiful features again - and congrats on the Joss and Main sale! I checked it out last night and there were some gorgeous things! Thanks for hosting! Hi Kim, love all of the features. Thank you so much for hosting another great party. Thank you so much for featuring my demijohn lamp. Mr. Grand will be all puffed up with pride over his handiwork! Thank you so much for hosting this lovely party. Thanks, Kim, for the feature. You definitely have your work cut out for you, getting through all these amazing links. I was something like #250 last week! Great party, as always! Thanks agin. Well, I know what I'm doing this afternoon! After scrolling through the party links it looks like I'll be spending it visiting and pinning and maybe even facebooking. Thanks for hosting! oh my! What awesome features. Thanks for hosting Kim! Congratulations on the Joss and Main event ! And, thank you for hosting the party, there are so many wonderful links, here, today. 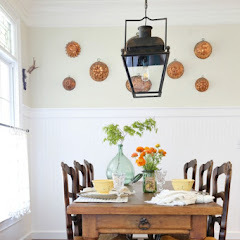 Thanks so much for hosting your wonderful party again this week and I love your blog's new look. Thank you for hosting this great party. Keep up the great work. Please stop by and check out our weekly party. Also check out the 2103 Fall Harvest Dinner we are participating in, you will find the link on BeBetsy.com. Thanks Kim for hosting another party! Kim, great post to peruse. Have fun with your guest and at the Fair. Thanks for hosting.